Not a fan of camping? Give glamping a try. 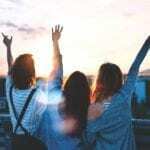 Glamping is a more comfortable (and sometimes even luxurious) version of camping where you bring many of the comforts of home with you to the great outdoors. To comfortably survive the wilderness you’ll need some upgraded camping gear. Unlike camping, you won’t be sleeping on the ground in a sleeping bag. Glamping is so much more than a good tent though. Think real beds, nice utensils, cozy lounge chairs, a portable stove, and drinks mixers for those sunset cocktails you’ll be sipping on. Let’s be real, when you’re glamping you always have morning coffee on hand. Unlike regular camping where you might be into “roughing” it, instant coffee packets just won’t do. 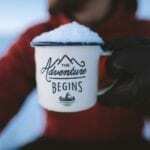 Make the perfect cup of coffee or tea with a portable out door coffee and tea set. 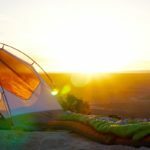 Pure Outdoor makes some of the best camping gear. 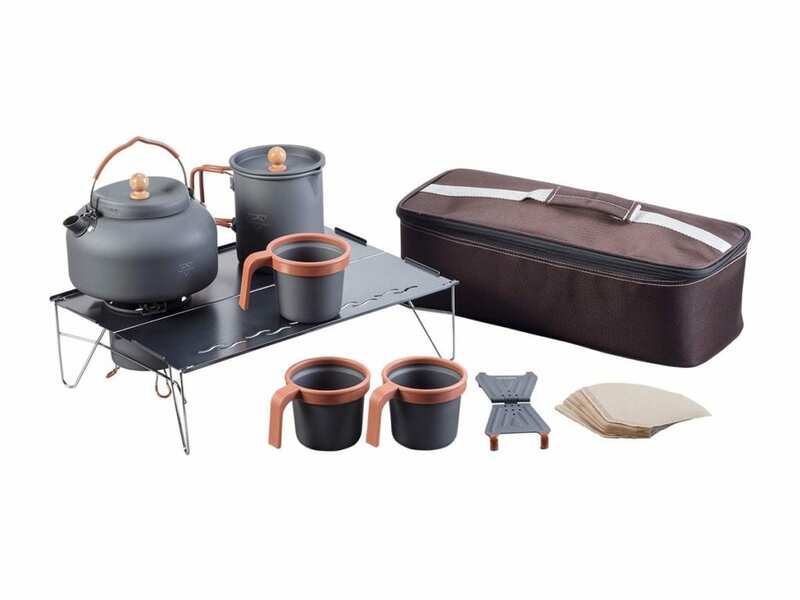 This brewing set comes with everything you need to make the perfect cup of coffee or tea in the outdoors. 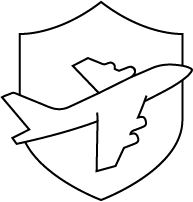 It’s durable, lightweight, and conveniently sized to make carrying it to your destination easy. It also comes with environmentally friendly coffee filters! Camping gear 101: Bring a portable stove. With a portable stove you’ll be able to heat up that cup of coffee and whip up a delicious meal outdoors. You’ll need one that’s safe and easy to carry. 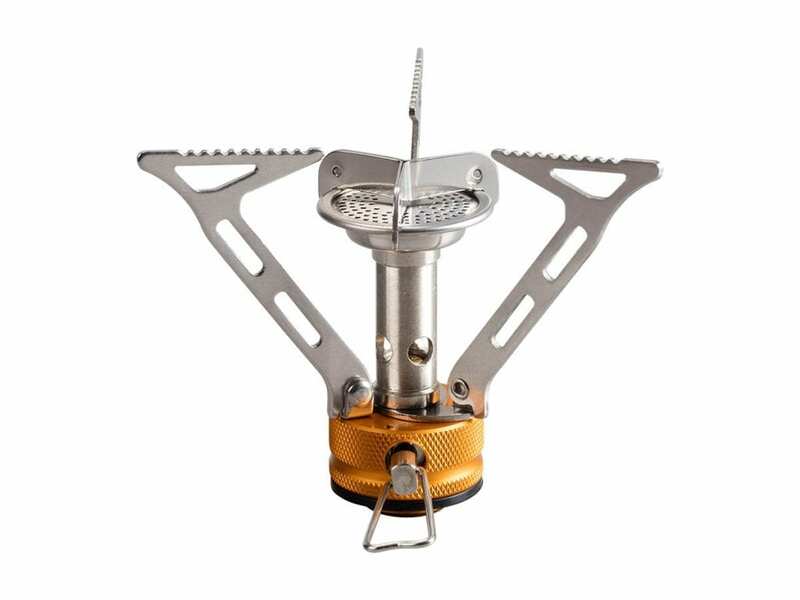 This Pocket Backpacking Stove by Pure Outdoor is perfect for a more comfortable camping experience. It uses a fuel canister for the base and boils a litter of water in only 3 minutes and 30 seconds! It also comes with a flame shield to keep it burning even in windy weather conditions. A good cooler is a camping gear essential you should invest in. If you’re anything like me, to really enjoy the outdoors you’ll need ice, cold drinks, snacks, and chilled wine or beer. Yes- trekking a cooler up to your camping destination is worth it! 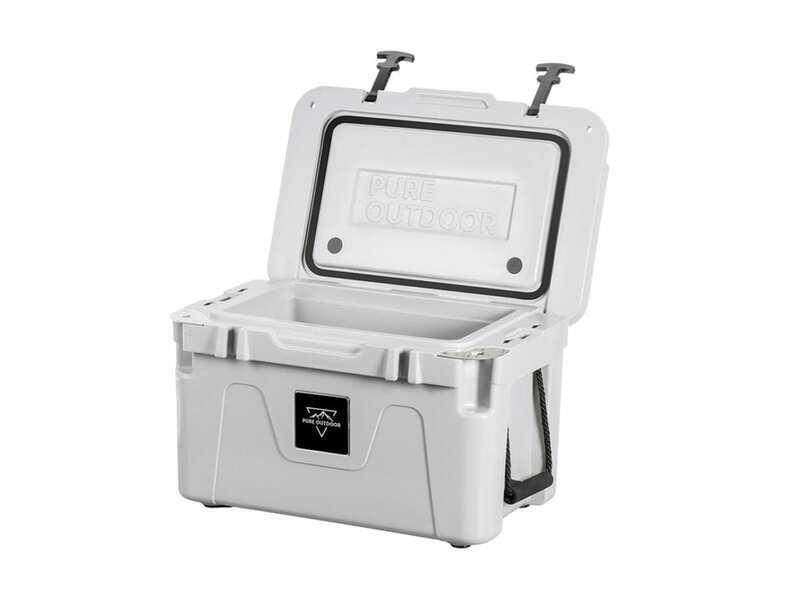 This cooler by Pure Outdoor can withstand all of your adventures. It’s no ordinary cooler. The Emperor 25 Cooler won’t cave in, even if you use it as an extra seat. It has lockable corners, a strap to keep it in place in the back of your car, AND a built in bottle opener. 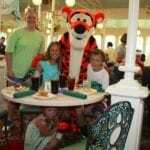 Having a table to eat your meals, play a game of cards, or rest your beverages on is essential for comfortable camping. It can be hard to find a table that’s lightweight enough to carry-on your outdoor adventures. But not impossible! Try this one by Pure Outdoor for Monoprice. 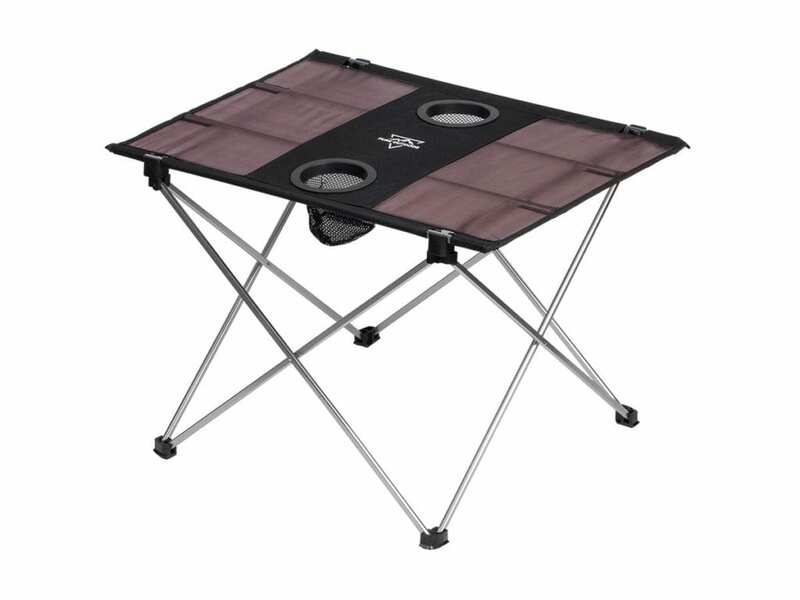 It has a collapsible aluminum frame that makes it both sturdy when you’re using it and easy to carry. It can support weight of up to 25lbs but is only 1.8lbs! Leave the standard folding chairs at home. You’ll need a very cozy but portable lounge chair for comfortable camping. One with a head cushion and good back support. Lean back and relax in style with this one by Pure Outdoor. 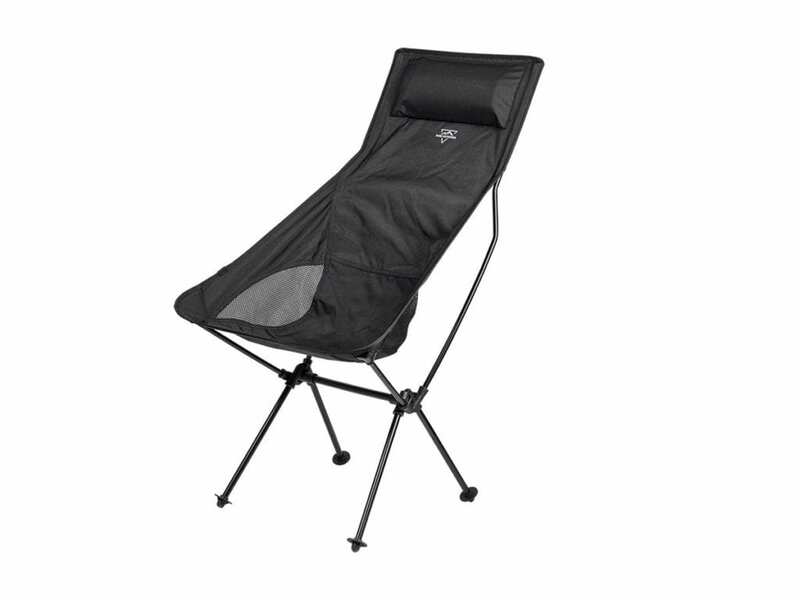 It’s a full sized camp chair that folds into a convenient size so you can bring it with you on a day hike. Use it with your Outdoor Table for Two and you’ve got a set up worthy of glamping. To enjoy a beautiful day hike it’s important to stay hydrated. Instead of carrying a water bottle with you try a hydration reservoir. You’ll be able to carry more water and won’t have to worry about unscrewing the bottle cap every time you need a drink. 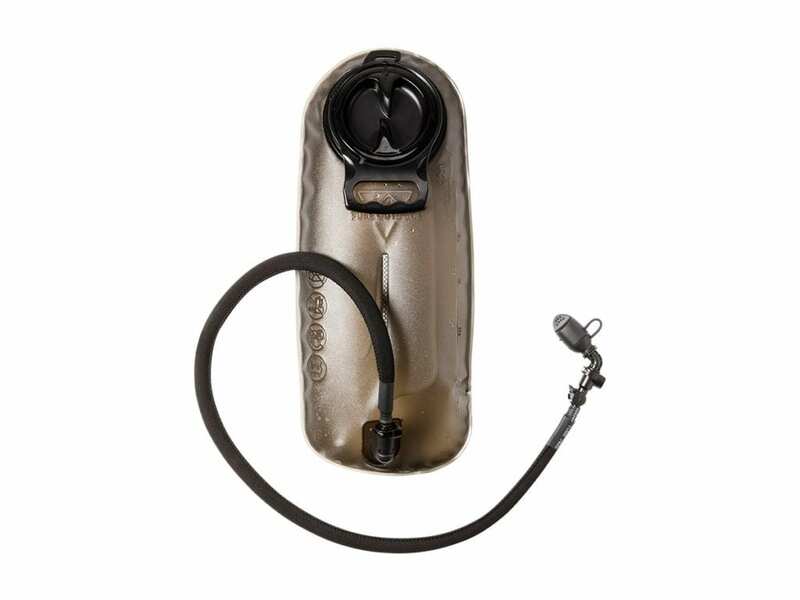 The hydration reservoir by Pure Outdoor for Monoprice comes in three different sizes, 3.0L, 2.5L, and 2.0L. It has an insulated tube design to keep water cool even in extreme heat. It also features a hassle free tube with a self-sealing bite valve. Last but definitely not least, you’ll need an outdoor tumbler to mix those summer cocktails. Glamping is all about taking camping up a notch. Don’t leave your favorite mixed drinks at home. Put the ingredients in your new cooler and pack a tumbler. The Pure Outdoor by Monoprice Emperor tumbler mixes your drinks and doubles as a glass. 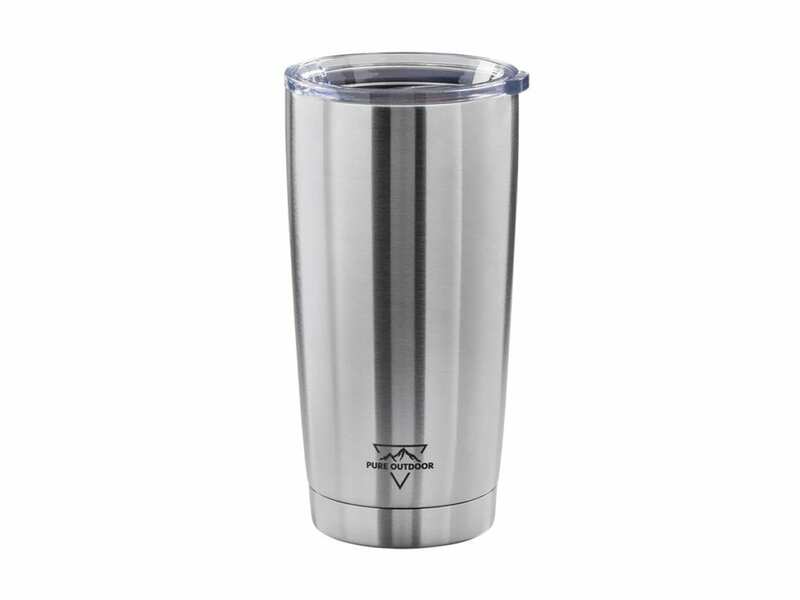 It’s BPA free and has a vacuumed sealed design to keep cold beverages cold and hot beverage steaming for hours. It also has a clear lid so you can easily see when you need to refill. Regular camping gear? Not really. Glamping essential? Yes! For a truly luxurious glamping experience, put down your phones this summer and follow your wanderlust to some of the most beautiful glamping locations in the world! Some of these glamping resorts are so nice you can even leave the camping gear at home. Time spent outdoors detoxing from the stresses of everyday life can improve your health and help break negative thought patterns. There’s nothing like the healing power of mother nature, whether you’re roughing it, camping comfortably (with your new camping gear! ), or glamping it up. This tree tent on the Northern tip of New Zealand takes glamping to a whole new level. You won’t be roughing it in this tent because it comes with a gourmet chef! You’ll feel totally alone with nature surrounded by trees but just a short walk a is a restaurant and spa. Take a day hike on the surrounding property or spend the day soaking in the epic tub in the middle of property. Head to Botswana for a luxurious glamping experience. The Duba Expedition Camp sits on a 77,000 acre private Kwedi Reserve. You’ll be able to experience Africa’s wildlife at your doorstep. The tents are designed with a Safari feel and have a private patio so you can enjoy the sunset and scenery. There’s also a large fire pit where you can roast marshmallows and tell campfire stories once the sun goes down. For a luxurious and hands free glamping trip call Camp’d Out. 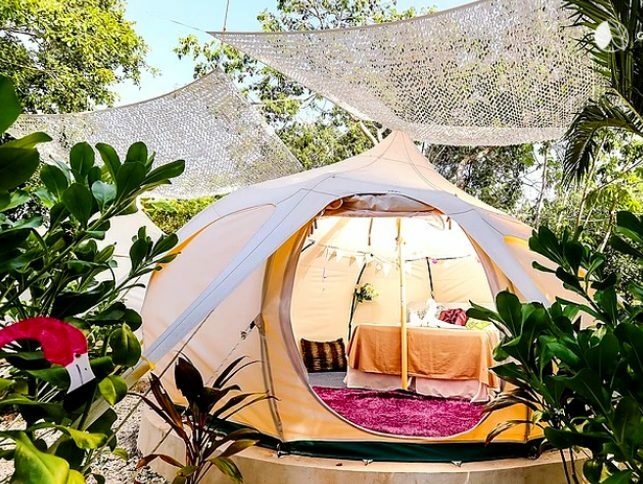 This company sets up an entire glamping experience for you anywhere in America. Get a group of friends together and Camp’d Out will curate your whole outdoor experience. You can rent a sleeping tent with a luxury bedroom, kitchen, porch, and outdoor lounge set up. 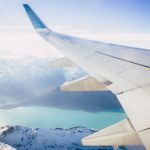 Not feeling like cooking or unpacking your own bags? No worries. You can also rent a camp butler. Looking for more wanderlust inspiration? Check out the Top 5 Best American Lakes to Visit this Summer.